CHARLESTON, S.C., March 6, 2018	(Newswire.com) - BravasLive, a portfolio holding of Live Solution Group, uses Artificial Intelligence and 30 years of global Brand experience to breathe new life into a flawed content creation, production, and global distribution ecosystem. 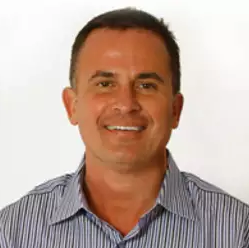 Jay Noce and his team at BravasLive offer the world's most advanced and proven Intelligent Content Production platform to the world’s largest Global Brands. This AI platform and the best practices solution and services model are fast becoming the Gold Standard for delivering exponential global content delivery a minimum of 100-300 percent more content within the same marketing spend. Brands such as JD Sports, Bank of America, Best Buy, Century 21, General Motors, Honda, Lowe's, and Subway are changing the industry model and gaining market share over their competitors at light speed. Jay’s experience has been to pioneer Global Production and implements those services and blueprint model to over 60 agencies and 70 of the top 200 Consumer Brands in the world. Because of the booming client list, Noce and his company have several locations across the world, including New York, Denver, Los Angeles, the United Kingdom and Charleston, South Carolina. BravasLive offers expertise in all areas of content creation, distribution, and optimization. Jay Noce and his team also offer the world’s most advanced and comprehensive production studio model capable of operating, training or assisting its clients and agency partners with all aspects from understanding the client requirements and needs, to implementation, customization and ongoing support. Guaranteed quality and true transparency. The single, seamless, high performing class cloud platform can deliver with One-Click any size asset or campaign to any destination and its auto-sensing technology can allow clients to send digital or print (table top to billboard), TV, Radio, Email or any kind of content medium automatically. BravasLive can also assist in content ideation, origination, adaptation, production, trafficking, and fulfillment, and its CEO Noce makes sure the material produced becomes high standard and within the Brand Voice, Language, Localization and Marketing Guidelines. In the production automation technology category, Noce uses Game Changing Dynamic Asset Solutions (*DAS) to replace the age-old model of too many resources creating, recreating, sizing, versioning, adapting and delivering global marketing campaigns and assets. But what is a Dynamic Asset? It’s an Artificially Intelligent Marketing Asset that is self-aware, contextually aware, and self-generating and auto-resizing. Also, the asset understands its properties like aspect ratio, size, resolution, media, and location of intended use. Also, it understands “Brand DNA,” marketing and brand rules, target segment, pricing, and compliance requirements. Furthermore, given a product and target, an asset can assemble and render all required components in harmony with brand requirements. The application of advanced automation technologies with a straightforward and simple goal in mind: Maximize client value. With so much at stake in content creation, most providers use technologies reluctantly. Also, when they do utilize the technology, only a minimal effort becomes provided. “BravasLive embraces technologies, unlocking their full potential to deliver unyielding value and service,” says Noce. Establishing end-to-end content lifecycle standards and metrics for image resolution and file size unlocks extraordinary value through increased production speed, cost efficiency, and quality. The scientific approach used by BravasLive optimizes production standards and metrics based on content types. Also, maximizing surface areas, persistence, and prominence. Consistent execution of the best practice standards and metrics will unlock these surprising values. A wide range of service models is available with The LiveSolution Group. The team finds the best fit unique to that client’s circumstances. Also, the company provides production strategy and the best practice operational consultation to unlock full potential; plus, augmenting the current production operations with Intelligent Content Production specialists. Noce is a natural leader, global CEO, technology investor, mentor, and an advertising technology enthusiast. He founded avVenta Worldwide, LLC in 2005 and served as the company's Chief Executive Officer and Chairman. He pioneered global digital production and sold his firm to Accenture in 2012 which became a global sparkplug for what today is Accenture Interactive. Also, he has served as an Executive with IBM Global Services and operated various management and executive positions for Accenture in the Telecom, Financial Services, Advanced Technology, and Mid-Atlantic Divisions. Noce owns a Bachelor of Science in Economics from Randolph-Macon College and an MBA from Virginia Tech University. To learn more about Bravaslive, please visit their website here.